FMIS management working group (FMWG) led by His Academician Hean Sahib, Secretary of State of MEF and Chairman of FMWG, had requested LM and the fully authorized budget entities who is currently using the Financial Management Information System, in short FMIS to cooperate in caring for both the technological and non-technological equipment within the framework of FMIS, to ensure the security, sustainability of the system and the efficiency of the technological system as well as non-technological system. Meanwhile, to ensure the security and accountability for those IT and non-IT equipment, FMIS working group wish to request for an asset management official in the framework of FMIS, to ease the information dissemination regarding the mobility of any equipment or change in leadership and officials who are currently using FMIS. As for the FMIS printers that had been installed, FMWG request each LM to include the maintenance (paper and ink) within their budget planning. 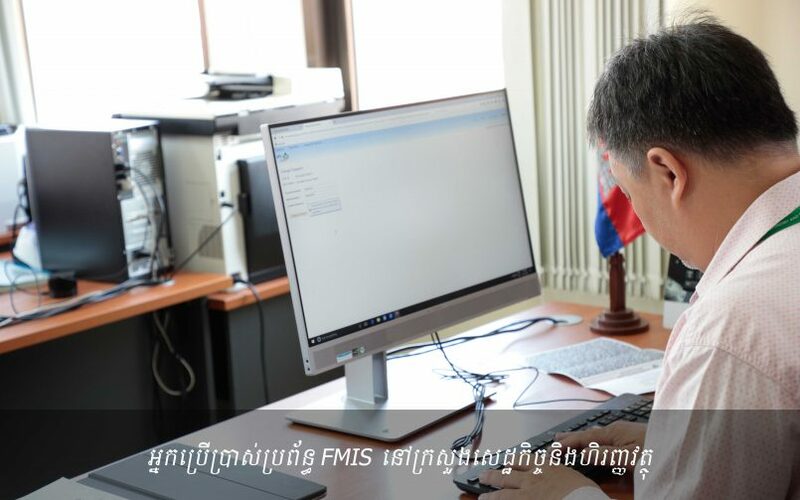 In this sense, FMWG (IT Department) would like to notify all the LM, general departments, departments, relevant entities should report any issues such as damaged, location transfer, changing user and other issues related to the FMIS equipment to Mr. Lanh Kimvorn, responsible officer, Contact number 017850551 or 069868765 and Mr. Sok Chumsaroeun, head of FMIS asset management team, Contact number 012629956. It’s worthy to note that all 10 LM who are officially implementing are Ministry of Economy and Finance, Ministry of Industry and Handicraft, Ministry of Civil Service, Ministry of Agriculture, Forestry and Fishery, Ministry of Education, Youths and Sports, Ministry of Environment, Ministry of Post and Telecommunication, Ministry of Health, Ministry of Women’s Affair, Ministry of Labour and Vocational Training as well as several other fully authorized budget entity within the ministry of Economy and Finance and the ministry of Environment.